Over the weekend a streamer finally beat Breath of the Wild, not realizing that the voice actor of her favorite character had been watching the whole time. Haley Ojedi, who streams and makes gaming videos on her YouTube channel, didn’t think her subscribers would even be interested in her streaming the ending to Breath of the Wild, but after stumbling into the final boss, she decided to go live anyway. 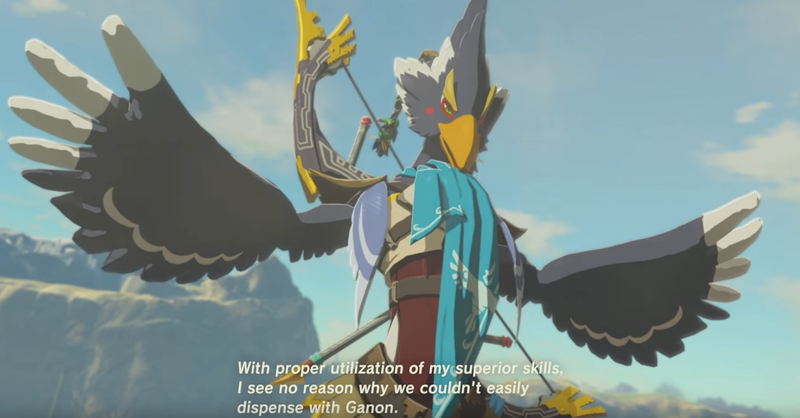 As she was fighting Calamity Ganon, her friend decided to tweet at Sean Chiplock, who voices Revali, Haley’s favorite character in the game. Ojedi’s friend invited Chiplock to watch the stream, and, to everyone’s surprise, he did.